Enjoy your friends. Love your wine. Founders Club?Our best program that offers maximum savings and benefits to boot. These are our covenant partners who love the winery, endorse the brand and want the maximum benefit. It's designed for those who love a good glass of wine more often than not. ”F4” Select Wine Club?Designed for those who don't drink a lot of wine but want a good value. F4 stands for Family, Friends, Faith and Freedom. It's designed for those who love a good glass of wine more often than not. Family Wine Club?Our entry-level wine club. The Family Club has a low commitment, easy to engage and designed for people who want the nice savings and to join in the fun and all of the events. As it radiates across your pallet you will enjoy the rich accents that the Sangiovese bring to the Merlot. Farmed from the eastern hills of the Santa Ynez Valley, this limited production is handcrafted with love by the McClain Family. It is soft, easy to drink and has the characteristics of bolder red wines without the spice. Buy 12 and get FREE SHIPPING. Want a discount? Join the Wine club. Do you love our wines? Our Wine club members receive up to 30% off all wine, earn points and much more. Become a member and start saving today. Purpose Road is a fruit-forward twist on a classic wine. 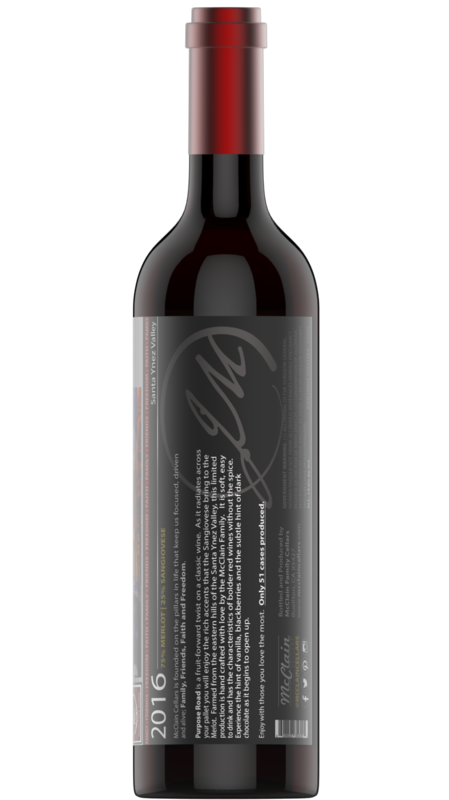 As it radiates across your pallet you will enjoy the rich accents that the Sangiovese bring to the Merlot. 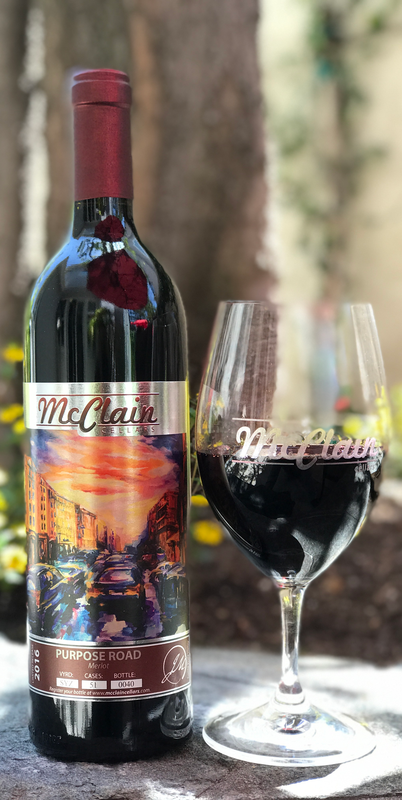 Farmed from the eastern hills of the Santa Ynez Valley, this limited production is handcrafted with love by the McClain Family. It is soft, easy to drink and has the characteristics of bolder red wines without the spice. Experience the hint of vanilla, blackberries and the subtle hint of dark chocolate as it begins to open up. Enjoy with those you love the most. 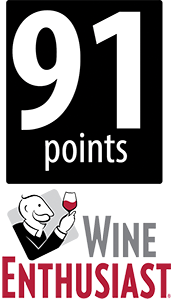 Purpose Road is a great everyday wine that goes with everything, and at a great value! Smooth and sweet! Great merlot to serve with any meal. Easy to drink and very approachable. Great wine to serve at a dinner party where you want something that will appeal to everyone but that still tastes decent. Smooth and very easy to drink. Merlot shines through in this beautiful wine. I am so happy to have found this new up and coming winery! Jason and Sophia McClain have got a real winner. How cool to have a winery within your own community that you don’t have to drive hours to get to. Their wines are all superb! There are several to choose from and something for everyone’s palates. I cannot wait for the next event and for the opening of their tasting room! Cheers to the McClains🍷.